NEW YORK (AP) — Move over Barbie. Mattel said Wednesday its first-quarter net income more than quadrupled helped by strong sales of dolls like Monster High, Disney Princess and American Girl. Results beat expectations and shares rose more than 4 percent in morning trading after briefly hitting its highest level in 15 years. The fashion doll category has been one of the toy industry's strongest, helped by new entrants such as Monster High — a doll line based on the offspring of famous monsters — which has grown to the No. 2 doll category in just three years of existence, according to Mattel. Barbie is still the No. 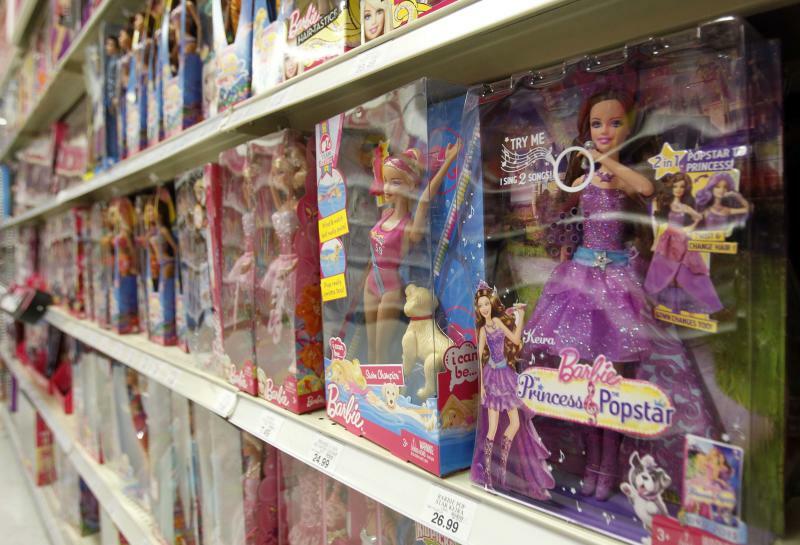 1 doll in the sector, but Mattel's results show that other doll brands are gaining steam. Barbie sales slipped 2 percent, hurt by the stronger dollar. It's the third straight quarter of domestic revenue decline for the famous 54-year-old fashion doll. Mattel declined to give specific sales figures, but said Monster High results drove its total girls brand category up 56 percent worldwide. American Girl sales rose 32 percent. "As we look at Barbie it's a very competitive category," said CEO Bryan Stockton. "The total fashion doll category is growing and Barbie is holding her own." The first-quarter is the seasonally smallest for toy makers — accounting for just 17 percent of annual sales, with ad spending at a minimum — coming after the busy holiday quarter. The latest earnings increase was helped by comparison with a period that included a big charge a year ago. "We continue to see the first quarter as our pre-season and we remain focused on a strong 2013 and delivering in the all-important holiday season," Stockton said. BMO Capital Markets analyst Gerrick Johnson noted that "hotter" toy brands, like Monster High drove results rather than basics like Barbie, Hot Wheels or Fisher-Price, which all had slightly lower sales. "That doesn't bode well for Hasbro, which has few 'hot' products," he said. Mattel's smaller rival Hasbro Inc. reports results on Monday. El Segundo, Calif.-based Mattel said net income for the January-to-March quarter totaled $38.5 million, or 11 cents per share. That's up from $7.8 million, or 2 cents per share, a year ago. Analysts polled by FactSet expected earnings of 8 cents per share. The prior-year period's results were weighed down by costs tied to its $680 million acquisition of HIT Entertainment, the company behind Thomas the Tank Engine and Bob the Builder. Revenue climbed 7 percent to $995.6 million from $928.4 million. Wall Street expected $984.2 million. The company saw solid sales across North America and overseas. American Girl gross sales increased 32 percent, while worldwide gross sales of other girls' brands — which includes Monster High — surged 56 percent. Barbie's worldwide gross sales dipped 2 percent, marking the fourth time sales have fallen in the past five quarters. Sales for the Wheels category, which includes the Hot Wheels, Matchbox and Tyco R/C brands, also fell 2 percent. For the Fisher Price brands, sales declined 7 percent. Mattel also said Wednesday that it declared a second-quarter dividend of 36 cents per share. The dividend will be paid on June 14 to shareholders of record on May 23. The company anticipates an annualized dividend of $1.44 per share, which would be a 16 percent increase over last year's annualized dividend. Mattel shares rose 80 cents, or 1.9 percent, to close at $43.78 Wednesday after rising as high as $45.37 earlier in the session. FactSet said that was its highest price since March 1998.